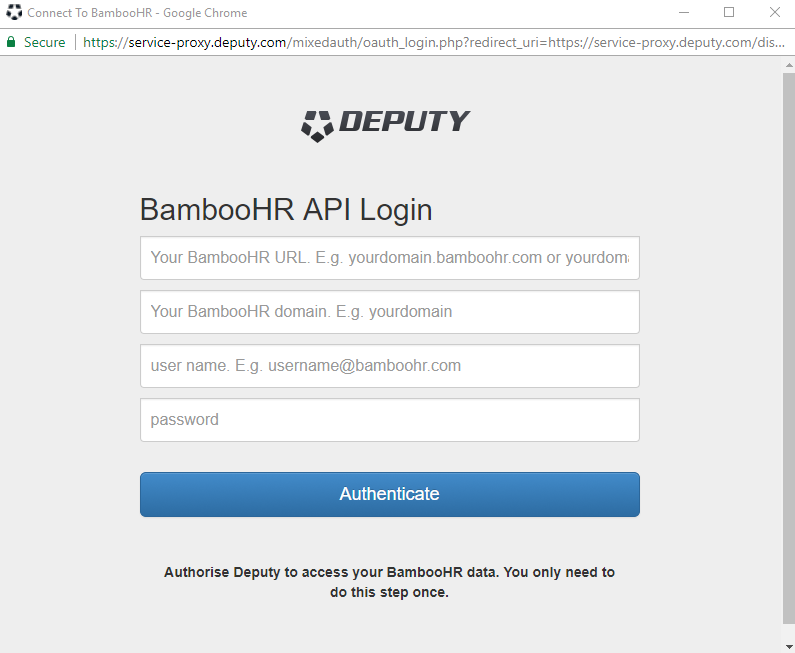 This guide shows you how to connect your Deputy account to BambooHR, and the additional features this integration presents. This article will walk you through our BambooHR integration. First, we'll need to connect your Deputy account to your BambooHR account. To do this, navigate to the Location page in Deputy, and click 'Edit Settings' for the location you would like to connect. Click on the 'Integrations' tab and ensure that BambooHR is selected. Click 'Save' when this is done. You will see the following new additions to your Integrations list. Click 'Authorize' on any of these. A pop-up window will appear. Simply enter your credentials to continue. 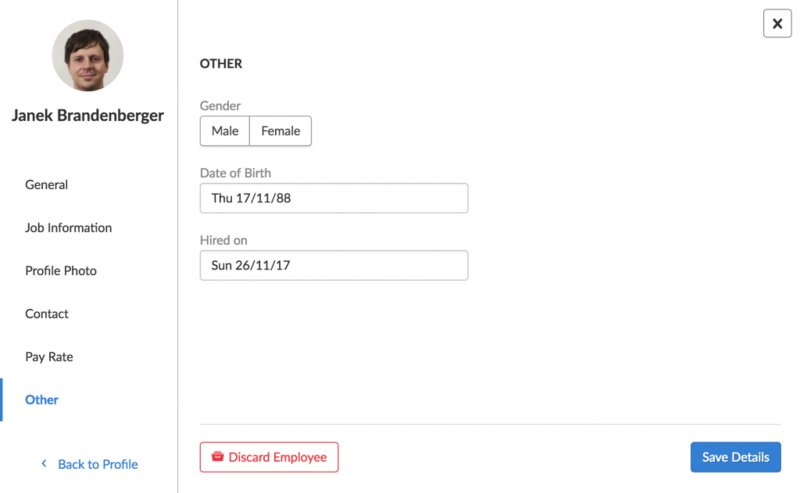 You cannot import/sync an employee if their start date is in the future. If you wish to import an employee, and you enter in hire dates for your employees, please ensure that the hire dates have been fixed and they are not set in the future. 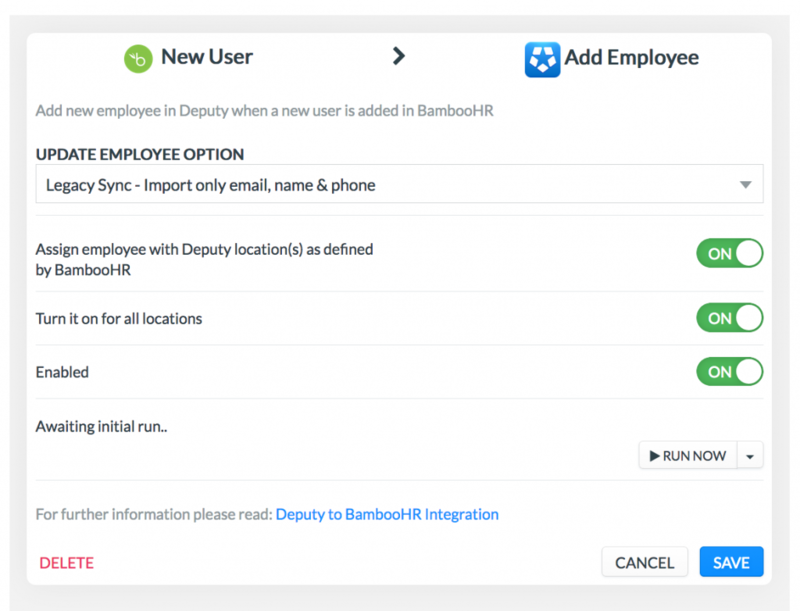 You can now add and remove employees from different Deputy locations from within BambooHR with the click of a button. Please note that the person sending the request to BambooHR must have Admin Level access for the request to be approved. 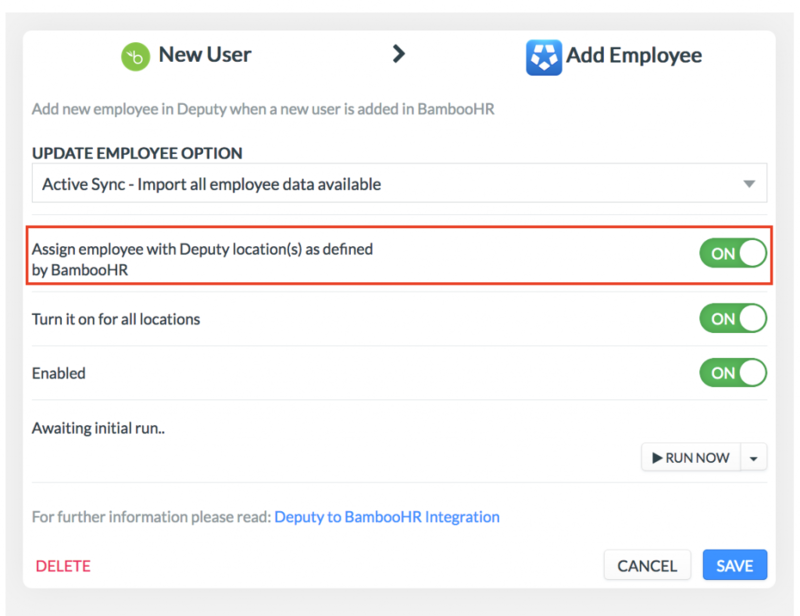 Please create a multiple selection list custom field where we can add/assign multiple locations to an employee so as to maintain the link between the employee’s assigned location(s) in our BambooHR/Deputy integration. For additional information about this request, please read BambooHR ticket 383420 as a reference. If you could inform us when this task has been completed, that would be great. Typically it will take 24 hours for BambooHR to complete your request. Once you receive a response that the requested has been completed. 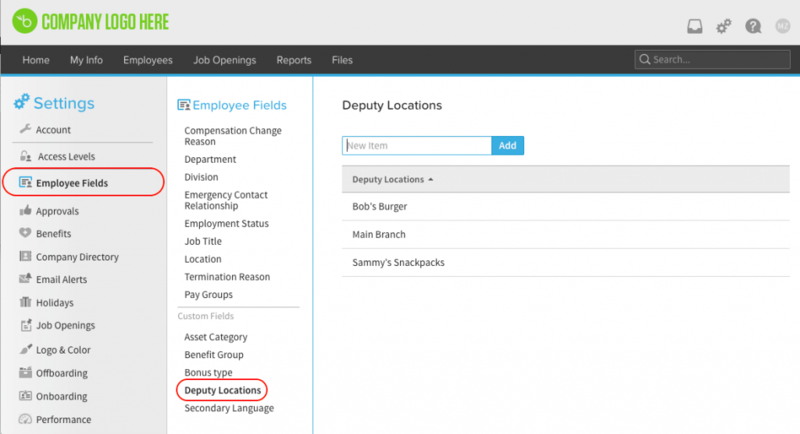 You now need to configure the new field with your Deputy Locations. Navigate to the settings by clicking on the Gear Icon as shown below. Once in the company settings, click on the 'Employee Fields' and then ensure that 'Custom Fields' now has an entry titled 'Deputy Locations'. The 'Deputy Locations' is where you add the locations that you see in Deputy. Please ensure when you type the location name it is an exact match for what is in Deputy. This will now be reflected in Steven's Deputy profile, and he will be assigned to the appropriate locations. 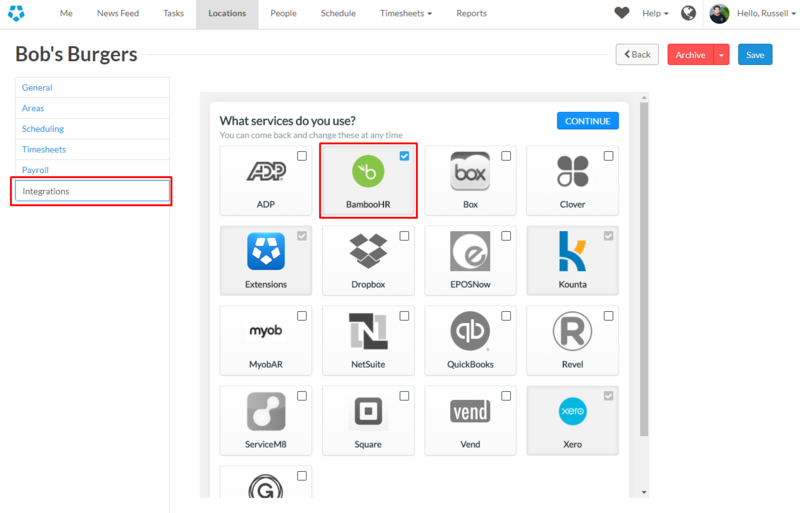 To run the sync manually, you simply need to head to the Integrations page within Location Settings, select/Edit the New User > Add Employee extension and click 'Run Now'. Using standard rates in Deputy, we can now export timesheets to BambooHR for viewing in the Time Tracking Summary Report. 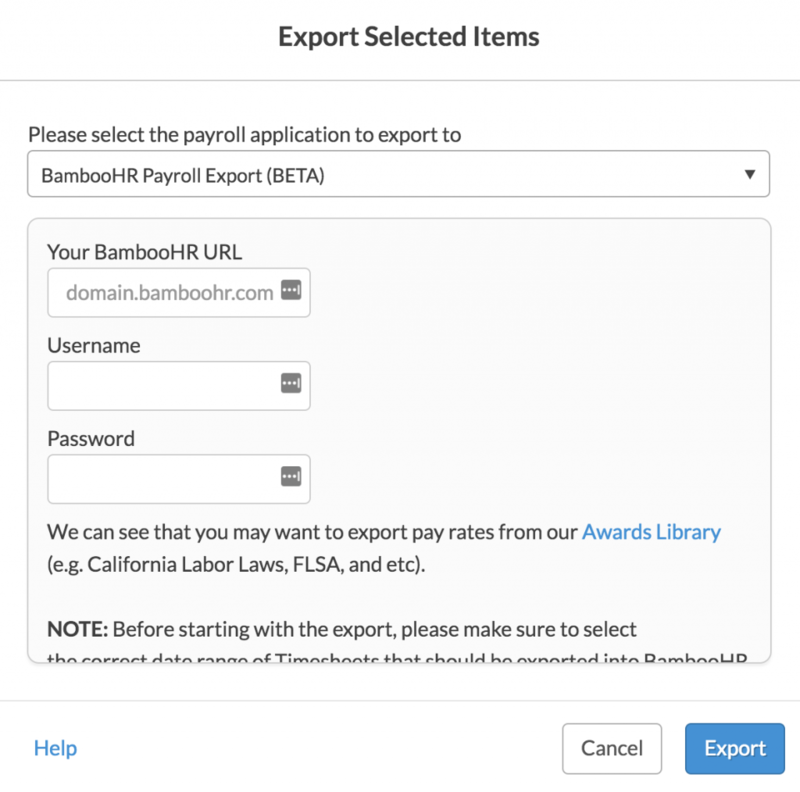 Please note: Our BambooHR export feature is only compatible with USA accounts. 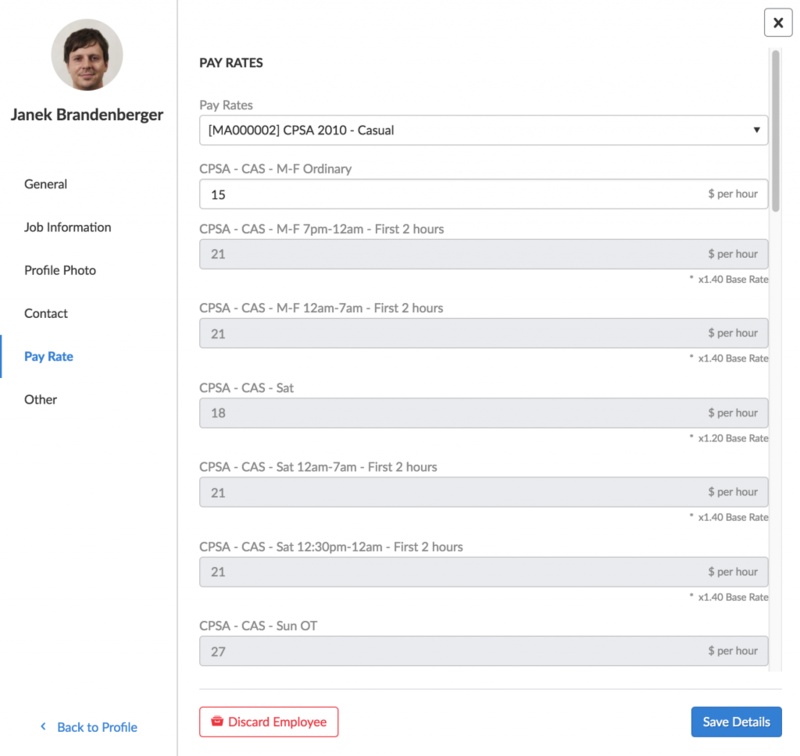 First, edit an employee's profile and add a pay rate to their profile. In this example, we'll add the CPSA 2010 - Casual award to this employee. Remember to hit 'Save Details' when you're done. Additional note: You cannot export an employee if their start date is in the future. If you wish to export an employee, and you enter in hire dates for your employees, please ensure that the hire dates have been fixed and they are not set in the future. Now, after this employee has completed a shift and you have approved the timesheet, export the timesheet. 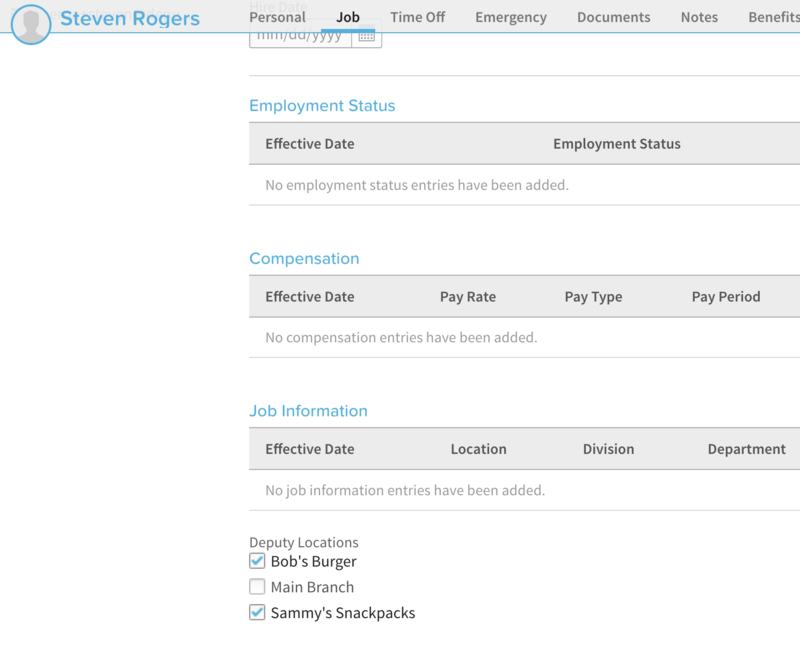 Now click on any employee's timesheet, then click 'Group by Pay Rate'. Ensure that the export code for Regular rates is 'REG', and the code for overtime is 'OT'. This will ensure that BambooHR will be able to read the rates and import it correctly. Now click 'Export Selected Items', and select 'BambooHR Payroll Export' from the dropdown list. Enter your BambooHR details, including your URL, domain name, username, and password. When these are entered, click 'Export'. A progress bar will appear which will update you on the progress of the export. To see these timesheets withing BambooHR, log into your account, then click the 'Reports' tab. Scroll down until you see 'Time Tracking Summary'. Click this. In this report, you can confirm the timesheets that have been exported via Deputy. 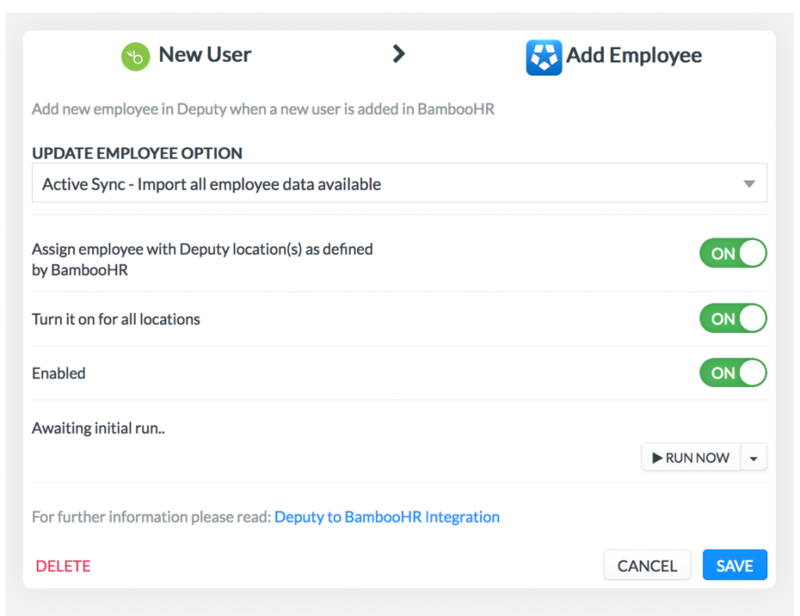 Selecting this will push approved leave timesheets as exported from Deputy and update the leave balances from within BambooHR. Selecting this integration/extension will allow you to import leave balances from BambooHR and will sync this total with the leave balance as shown in Deputy. For more information about Deputy Leave Balance and Accrual, visit our Leave Balance help guide. To ensure that the extensions above work, please note the leave name mapping displayed in the table below. Ensure to only use the BambooHR Leave Name listed on the table. 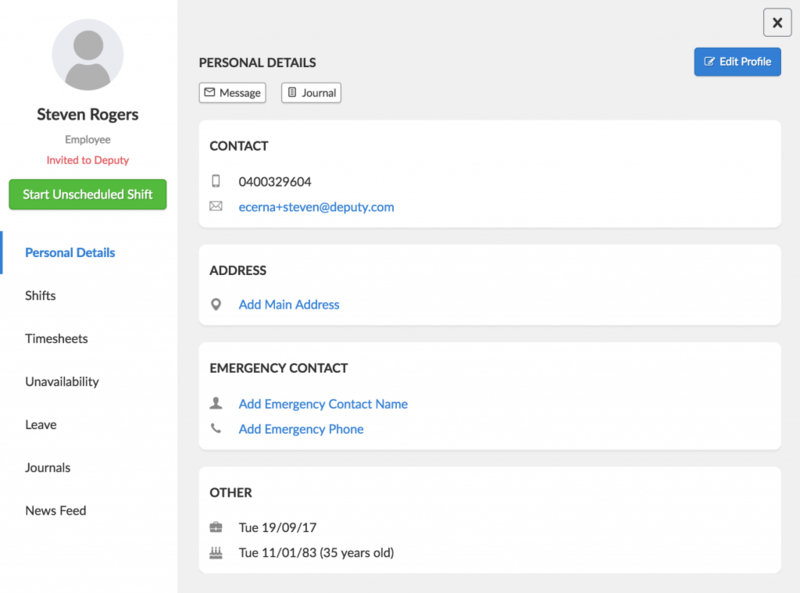 The values under 'Deputy Leave Name' will appear in Deputy after a successful sync. 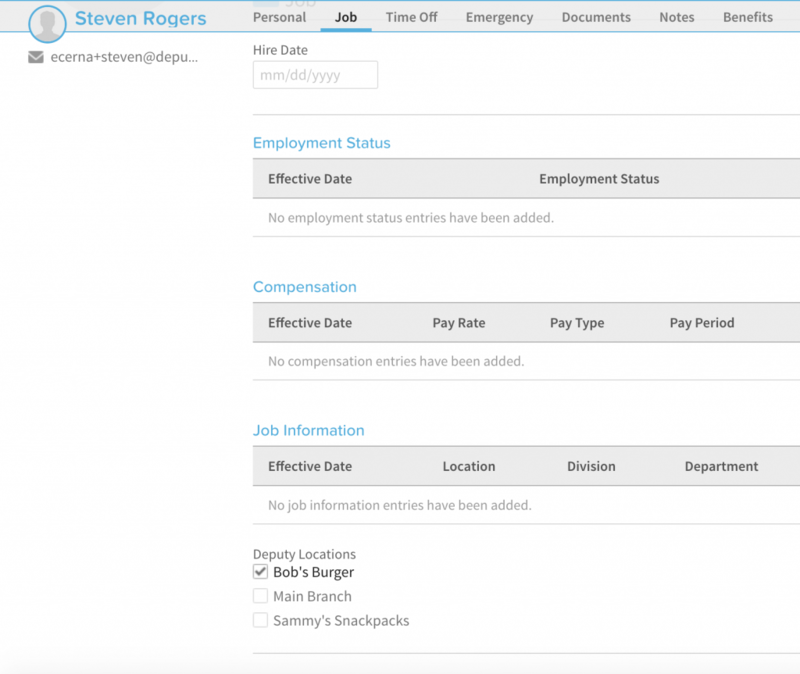 - FMLA mapping shows three names, when this leave type syncs, the leave name will automatically assign the first UNPAID leave name on your unpaid leave types in Deputy.